We round up the latest Liverpool news and transfer rumours on Monday, as the Reds head to Marbella to prepare for next week’s clash with Bayern Munich. A nice positive piece of news to start the week. A heroic effort by our influential midfielder. The Guinean excelled against Bournemouth. The great story of Awoniyi’s revenge & Grabara’s perfect league debut. 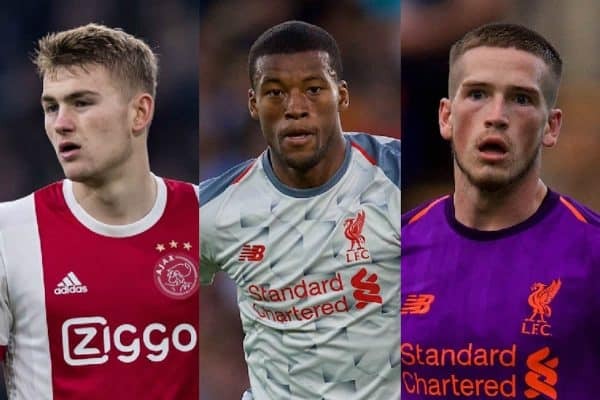 Liverpool Put Off by De Ligt’s Agent? According to the Mirror, Liverpool and their five rivals at the top of the Premier League have all been keeping tabs on Ajax captain Matthijs De Ligt. The young centre-back is arguably seen as the most exciting young player in world football, having recently won the prestigious European Golden Boy award over the likes Trent Alexander-Arnold and Kylian Mbappe. There is an issue regarding the situation, however, with the six clubs all reluctant to talk to Ajax because De Ligt is represented by controversial agent Mino Raiola. Liverpool have had no major issues with Raiola in the past, unlike a number of their rivals, but they still appear unsure about doing business with him. 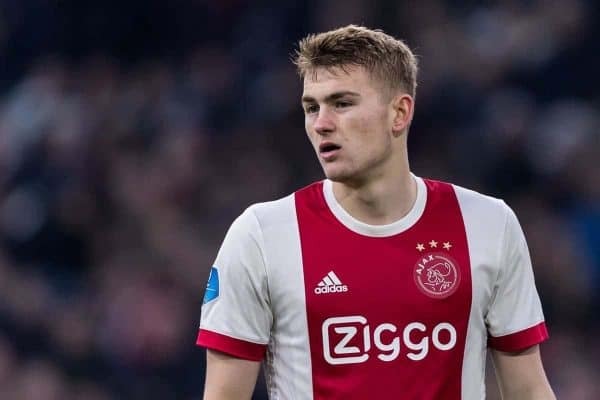 This might not be one to read too much into, although the prospect of signing De Ligt is a mouthwatering one. 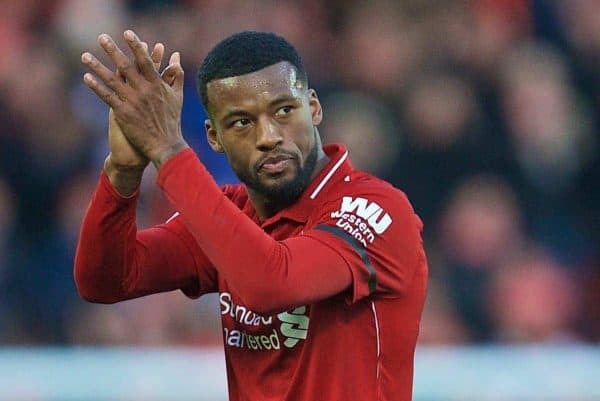 Gini Wijnaldum was superb in Liverpool’s 3-0 win over Bournemouth on Saturday, scoring a beautiful individual goal and standing out in midfield, despite illness. “We must make sure we respond every game, not just one game. “It is difficult [competing with City] but we already knew from the beginning that it would be difficult. “We have to control our results and performances. We have to give everything in every game and in the end see where we are. The trip to Man United in Liverpool’s next Premier League game on February 24 is particularly key—winning at Old Trafford for the first time since 2013/14 would be a significant moment in the season. 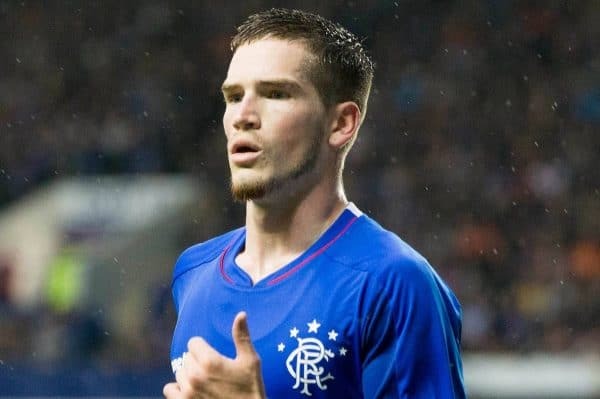 Ryan Kent‘s loan spell at Rangers has been a roaring success, with Harry Wilson arguably the only Liverpool loanee outperforming him this season. “The fact is, Ryan’s still a Liverpool player so it’s a decision for Liverpool, isn’t it? Kent played all 90 minutes of Rangers’ 0-0 draw with Kilmarnock in the Scottish Cup on Saturday, with a replay required to separate the two sides. 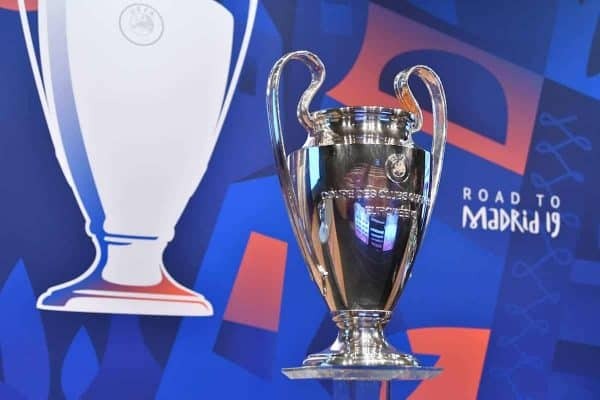 Liverpool take on Bayern Munich in the first leg of their Champions League last-16 clash a week on Tuesday (February 19), in arguably the tie of the round. James Rodriguez could be a key creative presence for the Bundesliga champions and he admits he is relishing the prospect of facing the Reds. “I’m very much looking forward to facing Liverpool,” Rodriguez told Bild. It is a sign of Liverpool’s enormous progress under Jurgen Klopp that they are probably narrow favourites to progress against a true European powerhouse. With Virgil van Dijk suspended and a number of injury problems at the back, though, they will have to perform expertly to keep out a star-studded Bayern team. The Mirror claim that Klopp is interested in bringing Leeds youngster Jack Clarke to Anfield in the summer. Liverpool’s manager has reportedly sent scouts to watch the 18-year-old winger in action, during a debut campaign that has seen him thrive for the Championship promotion hopefuls. Clarke will be on the Reds’ radar regardless of whether or not Leeds return to the Premier League. The youngster was stretchered off after feeling unwell during Saturday’s 1-1 draw away to Middlesbrough, with Marcelo Bielsa’s side equalising in the 11th minute of stoppage time. Could a potential deal for Clarke see James Milner go the other way, returning to his boyhood club in the process? 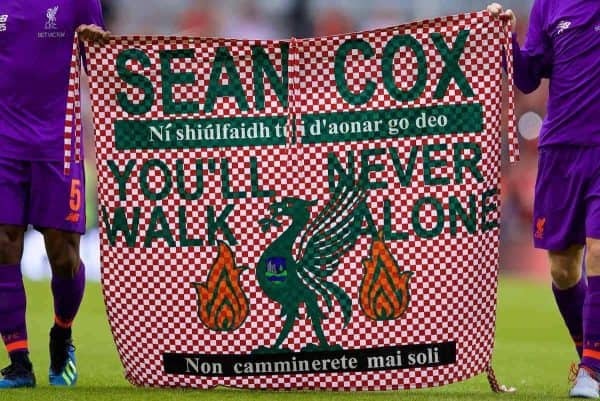 The launch of the charity match in aid of the Seán Cox Rehabilitation Trust took place on Monday, with Liverpool and Republic of Ireland legends present at Dublin’s Aviva Stadium. The game takes place on Friday, April 12 (7.45pm GMT) and will feature the likes of Robbie Fowler, Ian Rush and John Aldridge. “This game is so important to everyone playing in it, we want the best for Seán and his family and that means raising money playing this game to support his ongoing rehabilitation. Along with Fowler and Rush, Sander Westerveld, Jerzy Dudek, Glen Johnson, Patrik Berger, Vladimir Smicer, Salif Diao and Djibril Cisse have all been confirmed for the Liverpool Legends. Aldridge, Jason McAteer, Robbie Keane and Phil Babb will represent both sides, while Kevin Kilbane, Ian Harte, Lee Carsley and Liam Lawrence turn out for Ireland, managed by Mick McCarthy.